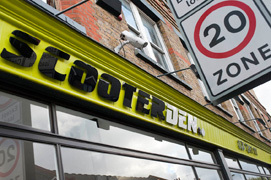 For more information about Motoden and Scooterden please visit our Motoden website. 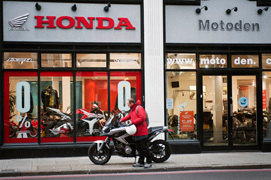 London Motorcycle Training is the brand name of our motorcycle training school. 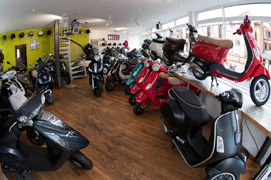 We are fully authorised by the Driver and Vehicle Standards Agency to train you to ride, and we provide Full Motorcycle training (DAS), Advanced and Bespoke Motorcycle training as well as CBT courses at our various CBT Training Centres around London. We are always committed to providing customer service and training to the highest standards. 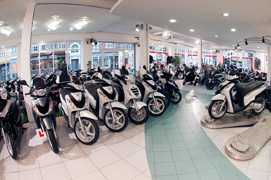 We are here to make the process of learning to ride a scooter or motorcycle easy and enjoyable for you. You can book your CBT test online, with just a few clicks, or by calling us directly, and the training will be provided by our friendly and fully qualified instructors. If you ever find us not living up to this, George would really want to hear from you. If we get it wrong, he will do everything to make it right. His personal email is georgedennison@gmail.com and his mobile number is 07973 838742.